Jesus Lays Waste to "the Law of Attraction"
22He said to his disciples, “Therefore I tell you, do not worry about your life, what you will eat, or about your body, what you will wear. 23For life is more than food, and the body more than clothing. 24Consider the ravens: they neither sow nor reap, they have neither storehouse nor barn, and yet God feeds them. Of how much more value are you than the birds! 25And can any of you by worrying add a single hour to your span of life? 26If then you are not able to do so small a thing as that, why do you worry about the rest? 27Consider the lilies, how they grow: they neither toil nor spin; yet I tell you, even Solomon in all his glory was not clothed like one of these. 28But if God so clothes the grass of the field, which is alive today and tomorrow is thrown into the oven, how much more will he clothe you—you of little faith! 29And do not keep striving for what you are to eat and what you are to drink, and do not keep worrying. 30For it is the nations of the world that strive after all these things, and your Father knows that you need them. 31Instead, strive for his kingdom, and these things will be given to you as well. 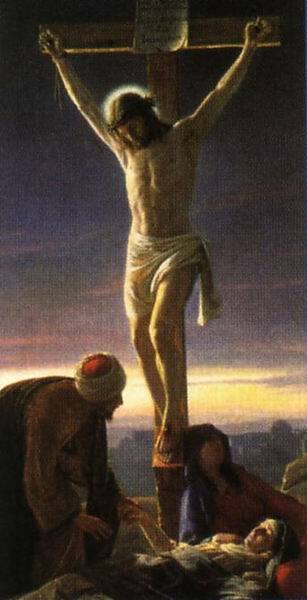 32“Do not be afraid, little flock, for it is your Father’s good pleasure to give you the kingdom. 33Sell your possessions, and give alms. Make purses for yourselves that do not wear out, an unfailing treasure in heaven, where no thief comes near and no moth destroys. 34For where your treasure is, there your heart will be also. These verses are the focus of a great devotion in today's Our Daily Bread. Go here. Okay, you may say, if God provides our daily needs, why are there so many starving people? Good question! "Food price inflation is due to a combination of factors: We are producing more food than ever, so there is no shortage of supply. There is more demand due to: a move to generate more biofuels, increasing demand for food in China and S.E. Asia, where people want more meat, and a drought in Australia affecting grain prices. Sheldon's prescription is no doubt part of the solution. Another part is in the haves, of which I am one as a middle income American, resolving to share with the have-nots. That should be part of our lifestyle. The reason we don't readily do that is, as Jesus intimates v. 32 above, fear. We're afraid that if we give away anything, there will be less for us. At one level, of course, that's true. There will be less for us. But we'll be giving away from our excess. For example, I'm a 54 year old man who's 5', 9" tall, weighing 178-pounds. According to this handy online calorie calculator, my daily intake should be 2487 calories. But the daily intake in the US is 3330 calories. Both in terms of our current crop yields and our needs, we've got plenty to give! Now, back to that so-called "law of attraction." The idea behind it is that if you think about the things you want, they'll come your way. Want a new hot tub? A million bucks? Think about it, this "law" claims, and you'll get it. Now, it's true that if you obsess on something sufficiently, you'll tend to make it a priority and tend also to mow your grandma down to get it. The headlines and gossip rags are filled with tales of wealthy businesspeople and oft-photographed celebs who have laid waste every important relationship in their lives--most tragically, their relationship with God--to get the baubles of the world. They've attracted more stuff to themselves than they will ever need...and some they'd just as soon flush. But the fact is, Jesus doesn't promise His followers a life of ease. He promises a life of significance, purpose, and fulfillment to all who dare to follow Him. He also promises us our daily bread, enough to live each day, and He promises to be with us always. He's never welched on a promise! Historical Inquiry: What About Senator Clinton's Apparent Point? Something of a media firestorm has greeted Senator Hillary Clinton mentioning the assassination of Robert F. Kennedy following his June, 1968 victory in the California primary. I, for one, don't believe that Clinton meant to draw an analogy between Senator Barrack Obama and Bobby Kennedy, insinuating that because the Illinois senator evokes the same sort of passion as Kennedy, he may be an assassin's target, thereby presumably giving the New York senator reason for staying in the race for this year's Democratic nomination. There was nothing to be gained by Clinton in making such a connection, especially among Democratic superdelegates, many of whom venerate Kennedy and his older brother, President John F. Kennedy, and, like most Americans, have just been saddened by the news that Senator Edward Kennedy is suffering from cancer. Clinton, in spite of what her many opponents may say, is not evil incarnate. She's not stupid either. Clinton's apparent point was that suggestions that she depart early from the race were, as she put it, "unprecedented." To buttress her case, she mentioned that her husband didn't clinch the 1992 Democratic presidential nomination until mid-June. She then noted that at the time of his death in early June, 1968, Robert Kennedy was still contesting--probably futilely, it should be added--for the Democratic nomination in the California primary. I believe Clinton meant to say that it isn't outrageous for her to still be in the race in June, 2008. That may be. But comparing, June, 1968 to June, 2008, is not so much comparing apples to oranges as it is apples to King Kong. One big difference is that the entire primary season in '68 began with New Hampshire's primary, not on January 3, the date for the campaign-opening Iowa caucuses this year, but on March 12. That's fully two months and nine days deeper into the calendar than this year. The California primary, the last of a grand total of thirteen primaries held in 1968, was held on June 5. Kennedy didn't even declare his candidacy for President until March 16, 1968, four days after President Lyndon Johnson narrowly defeated anti-Vietnam War senator, Eugene McCarthy, in New Hampshire. Kennedy therefore, on the night of the California primary, was still a candidate for president little more than three months into his campaign and just three months after the first contest. By contrast, Senator Clinton announced her candidacy on January 22. 2007! The date of the California primary in 1968 would, if put in an analogous position on ths year's election calendar, fall on April 3, a date that's already two-and-a-half months past. By June 3, 2008, when the Montana and South Dakota primaries end the long round of primaries for this presidential election season, a full six months will have passed since the beginning of the process. Six months after Robert Kennedy declared for the presidency was September 16, two weeks beyond the traditional Labor Day start of presidential general election campaigns. Senator Clinton has every right to stay in the race, of course. But her continuing to contest for the nomination in June, 2008 is clearly not the same as Bobby Kennedy remaining in his race in June, 1968. An interesting, if unanswerable question, is what Robert Kennedy would do if he were in Hillary Clinton's position? No one can know. But, as he was fond of telling his presidential campaign handlers when they put too optimistic a spin on his delegate counts and nomination prospects, he had done their job once, back when he'd managed his brother's 1960 campaign. He knew, he reminded them, how to count. God of tender care, like a mother, like a father, you never forget your children, and you know already what we need. In all our anxiety give us trusting and faithful hearts, that in confidence we may embody the peace and justice of your Son, Jesus Christ, our Savior and Lord. 1. This is the Second Sunday after Pentecost, effectively beginning the longest season of the Church Year. The Pentecost season runs until we begin a new Church Year with the Advent Season which, this year, will fall on November 30. 2. Falling after the three great festivals of the Church--Christmas, Easter, and Pentecost--have been celebrated, the themes of Bible lessons appointed for the Pentecost season, are basically, living each day with Christ and growing in our faith in Christ. The latter theme is why the color of the season is green. Like plants that grow green and strong the more they depend on the water, soil, sun, and nutrients, we grow in our faith the more we depend on the God we know in Jesus Christ. Those who grow green in their faith grow in all of the eternal blessings of God, blessings like hope, joy, peace, and assurance of God's grace. Those who grow green in their faith also more readily and, with less self-concern and self-absorption, pass on God's blessings to others, blessings like forgiveness, compassion, and loving counsel. 3. Last Sunday, Holy Trinity Sunday, is always celebrated on the first Sunday after Pentecost. It still has the hint of a festival about it. But this Sunday, we get down to the business of living faith in the "in between times" in which we live, the times between the ascension of the risen Jesus and His return one day, when He will fully establish His Kingdom. 4. We certainly get down to brass tacks in the lessons for this Sunday. They address, first of all, what have been for centuries and remain for today, the primary impediments to faith taking root in us and growing: (1) The difficulty we have with trusting the God, a difficulty reflected in our penchant for worrying. (2) The difficulty we have with trusting that God will provide for our material needs, a difficulty reflected in our penchant for worrying about whether we will have "enough" of food, clothing, shelter, and the like. These issues inhere in all of the lessons, though they are most overtly addressed in Jesus' words in the Gospel lesson from Matthew. 5. Another theme, of course, is trust in God. Trust in God is the opposite of worry. When we allow the Holy Spirit to build our trust (faith) in God, we are freed from worry. We know that God is our God for all eternity. We know that God, in the three Persons of the Trinity, is intimately aware of our daily needs: The Father knows from having designed us. The Son knows from having been one of us. The Spirit knows from living with us day-in and day-out. 6. Isaiah 49:8-16a was originally addressed to the Judeans who, following the conquest of their country, had been exiled to Babylon. Many others had fled the country and were living in other places, members of what we still call the Jewish diaspora (dispersion). Through Isaiah, the prophet, God is promising that He will gather His people together again. God can be trusted. The imagery of v. 15 is interesting. God is compared to a mother who never forgets the children once issued from her womb or nursed at her breast. This certainly conveys both the tenderness and the resilience of God's love for us. Syene was a region of southern Egypt. 7. Psalm 131 is, as the superscription at the beginning indicates, a "psalm of ascent." It was sung by religious pilgrims come to Jerusalem for one of the great Jewish festivals as they ascended Mount Zion, the site of the temple. Verse 1 says that the worshiper understands that God is higher than they. Here, we see genuine humility exhibited. Humility isn't having a low opinion of one's self, but a right opinion. A humble person understands that they have eternal value, value conferred upon them by the God Who made them, redeemed them, and lives with them. Verse 2 has something of the same imagery as the Isaiah passage. The worshiper sees himself or herself as "a weaned child," able to make decisions and function, yet still dependent on God. The bottom line: Hope (trust, have faith) in the Lord! 8. 1 Corinthians 4:1-5 may, at first, not seem to fit in with the other lessons. The apostle Paul is addressing the dysfunctional church in the Greek city of Corinth. Among the many issues in this congregation was the penchant of its members to identify themselves as followers either of Apollos, a Christian preacher; Paul; or Jesus. Paul points out that neither he nor Apollos are worthy of "following," only Jesus, God-in-the-flesh. He says that he and Apollos are only "servants of Christ and stewards of God's mysteries." Trust in the God revealed in Jesus Christ, nothing else. Instead, we should make seeking or striving for God's Kingdom the focal point of our daily living. God can be relied upon. God can be trusted. Jesus says we must choose who our master will be. Will it be money and possessions? Will it be God? Whatever has our highest allegiance is our master and our God. Money and possessions can get us through this life and a certain amount of it constitutes "our daily bread," which God wills for each of us to have. But only God can give life, today and in eternity. Please Join Us in Thanking God! The congregation I serve as pastor, Saint Matthew Lutheran Church in Logan, Ohio, is deeply thankful to God for the progress made by one of our members, seventeen year old Sarah, in her fight with leukemia. On Wednesday, it was learned that a biopsy conducted while a Broviac catheter was removed, showed no traces of leukemia. I'd appreciate it if you'd join us in thanking God for this. Please also pray for Sarah's continued healing and thank you very much! for Steven Curtis and Mary Beth Chapman and family. Steven Curtis Chapman is a Christian contemporary musician with a long list of hits to his credit. Yesterday, in a terrible tragedy, the couple lost their five year old daughter when an SUV driven by a son accidentally hit the child. Their multiple agonies in this one event are almost incomprehensible. Please ask God to give comfort and assurance to this family, along with the hope that comes to all with faith in the resurrected Jesus. Michigan and Florida should be represented at the Democratic National Convention. Delegates ought to be seated by a formula reflective of the results in their states. These points reflect principles of the "Mom and applie pie" variety, ones to which most Americans would readily assent. If the senator were pushing them in May, 2007, rather than in May, 2008, she would clearly hold the moral high ground and the political advantage. But that may not be the case today. In June of that year, South Dakota Senator George McGovern apparently clinched the Democratic presidential nomination by winning the California primary. The new delegate-selection process, established by a party commission headed by McGovern himself, stipulated that delegates should be parceled out proportionally no matter what process was employed in their selection, whether primaries, caucuses, state conventions, or some other way. In spite of this, going into the nominating process, the national party had accepted the winner-take-all rules of California's primary. The winner of the state's primary, however thin the margin of victory, would receive all 273 of California's delegates to the national convention, a bountiful prize, amounting to 18% of the 1509 delegates needed to take the nomination. But once McGovern had secured what appeared to be a majority of the elected delegates (superdelegates didn't come along until later in Democratic Party history), the anti-McGovern forces, certain that the South Dakotan wasn't supported by most Democrats and would lose the fall's general election, decided to mount a credentials fight against seating the entire California delegation for McGovern. Since the senator's ultimate delegate total was 1729 and he won California by a mere 5% plurality, his first-ballot nomination--and his ultimate selection by the convention--would have been jeopardized had the proposed rules change been approved. McGovern's opponents argued that the delegates should be seated proportionately, as in most of the other states' delegations. The McGovernites argued that while their adversaries might be right on the principle of proportional representation, they were wrong on a larger one. That larger principle was that, simply put, it isn't fair to change the rules at the end of the game. Every candidate had known well before June, 1972 that California was a "winner take all" primary, which is one reason McGovern's remaining opposition fought so hard to win there. It was under the rules prevailing when the campaign began that McGovern won the California primary and it was under those rules that he was entitled to all 273 delegates. I well remember that my Dad, never intensely interested in politics, found the McGovern campaign's argument persuasive. He stayed up into the late hours of the night to watch the Democratic convention wrangle over the issue. (I would have stayed up with him, but I was working a ten-hour a day first shift job in a factory at the time and had to be up too early to spend the night watching the bickering Dems, some of whom were friends from college.) When the convention decided not to change the rules at the end of the game, Dad felt that right had been vindicated. Fast forward to 2008. The year before, the Democratic National Committee stripped both Florida and Michigan of their right to send delegates to the national convention because they had the temerity to schedule their primaries on dates the DNC didn't like. It may, rightly, I think, strike one as odd that a national political party can presume to tell the elected officials of state governments when their states' elections will be held. But when the DNC issued its edict regarding the primaries in Florida and Michigan, all of the candidates for the Democratic nomination issued not a sigh of protest. All the campaigns, including that of Senator Clinton, in fact, supported the DNC position. None of the candidates campaigned in the states, effectively nullifying the primaries per the intent of the national committee. The rules of the game were set and all were in accord with them. In a few days, the DNC will reconvene, their main piece of business to decide what to do regarding Michigan and Florida. Should they seat delegates from the two states? If so, by what formula? Should they accept Senator Clinton's position that delegates should be seated in accord with the results of the two states' primary elections, even though no candidates campaigned in Florida or Michigan? Ordinarily, maybe, the principles on which Clinton is basing her current arguments would be persuasive. But the simple fact is that everybody, including Senator Clinton, agreed to the rules of this game before it began. Is it fair then, for her to insist that the established rules, however ill-advised, be changed just before the final buzzer? 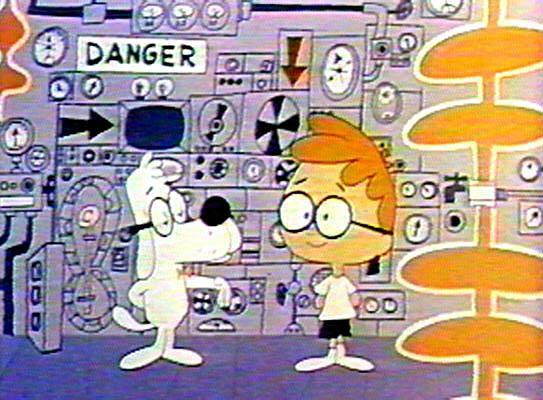 As those celebrated time travelers, Peabody and Sherman can tell you, timing is everything. Although Senator Clinton has many commendable points in her argument regarding Michigan and Florida, the time to protest the DNC's position on Michigan and Florida probably passed a long time ago, meaning that right about now, the New York senator may be wishing she had that Wayback Machine. Luther, now certain that eternity was a free gift, was deeply offended by this practice. He would later say that if there were such a place as purgatory and the Pope, as head of the Church, had the capacity to free people from the place, he should do so out of simple Christian compassion and not accept a penny for doing so. Martin Luther had learned from God’s Word that our relationship with God and our freedom from sin and death don’t come from our works or from doing proscribed acts of ritual, religious or otherwise. These things come to us freely from a God Who, in Christ, shows us that He isn’t our enemy, but our very best friend. Let me suggest, coincidentally, three ways it may make a difference to you and me as we go through our daily lives. Ann and I had been married about five-and-a-half years when my father offered the only piece of advice I remember him ever giving to me. Dad and I were alone when he asked me, "Are you and Ann ever going to have children?" I gave an intelligent reply: "I uh...We uh..." Dad said, "If you're waiting for the perfect time to have kids, the time will never come. You'll never be able to afford them." Then, this man who's the father of five gave his closing argument by saying, "Mark, there are no good reasons for having kids." Now, Dad was right, of course. When they're babies, your kids burp on you and keep you awake when they soil themselves or get hungry. When they get older, they create other problems for you. Even when they're grown up, you stew about them. But, Dad told me, "Have kids anyway." There are lots of things we do that aren't really necessary. Having children is among them. So are creating art or music. So are starting a business or building a better mousetrap. There are so many things we do that we don't have to do. But the desire to express ourselves or to give our love away is so powerful that we feel compelled to do the most extravagantly unnecessary things. This fact about we human beings, I think, is one way in which we reflect the presence of the image of God in us. God didn't have to create the universe or give us life. God didn’t have to take on human flesh to die and rise for us. God doesn’t have to reach out to us as He does today through His Holy Spirit, Who creates and nurtures the Church, inspired the Scriptures, and is still inspiring believers today. God enjoyed completeness without us. But the Three-in-One-God, Who surely inspired that phrase “the fullness of God,” wants us, wants us today, wants us for all eternity! The Holy Trinity, this big, full God, cares about you. He’s invested Himself in all His fullness, in you and in your future. God does that over and over again. In the Trinity, God demonstrates, underscores, and underlines that you, your every moment, your every decision matters to God! He looks at you and He says to Himself, as He did when He looked at His creation on the seventh day and says, “Very good!” That’s the first way in which knowing the Three-in-One-God makes a difference in our lives. In the face of such mysteries, I can say only one thing: God be praised! *The great German theologian of hope, Jürgen Moltmann, discusses these tradtional images, in a wonderful essay here. In his essay, Moltmann also mentions a Russian icon into which I've been bumping a lot lately. Icons, a word from the Greek for image, are works of religious art designed to inspire or strengthen faith. The greatest Russian iconographer was Andrei Rublev, who lived from in the late fourteenth and early fifteenth centuries. Perhaps Rublev's most famous icon shows the three persons of the Trinity, each nearly identical in appearance, except for their clothing, at table together. They share a single cup. What's so intriguing about this piece is that it was inspired by an incident not in the New Testament, but the Old Testament. Like the ancient church father, Augustine, Rublev believed that the three men who visited Abraham and Sarah under the oaks of Mamre in Genesis 18, weren't God the Father and two angels, but Father, Son, and Holy Spirit. So important are these three persons to Rublev that Abraham and Sarah don't even appear in the painting. Personally, I can't help feeling that the cup they share is symbolic of the cup Jesus asked might pass from His lips when He prayed in the Garden of Gethsemane. This was the "cup" of His suffering and sacrificial death for us all. 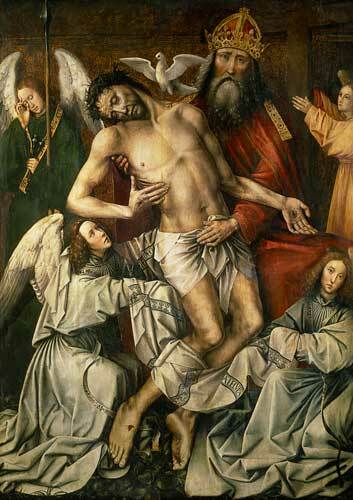 As the Gnadenstuhl artwork attempts to show us, this cup of agony didn't belong to Jesus alone, but to the Father and the Holy Spirit as well.